With our team of Salesforce certified consultants, CEPTES offers end-to-end Salesforce Integration Cloud services. Our Salesforce integration solutions enable organizations to deliver intelligent and connected customer experiences across various touch points including devices and data powered by the MuleSoft Anypoint Platform. We understand the MuleSoft platform adequately and develop enterprise level integrations that aid the users to connect various data scattered through myriad platforms. By connecting your digital ecosystem and implementing tailor-made digital strategies, we can connect and integrate your application, data source, API, device, ERP, and third-party solutions, all based on your business requirements. 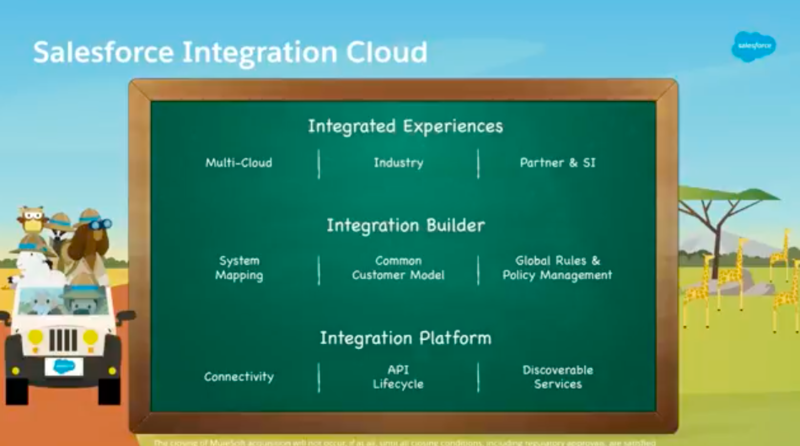 Integration cloud helps you connect any system including other Salesforce systems, external cloud or on-premise systems on a unified platform. Get rid of complex custom codes and optimize your business agility with application networks. Enable your teams to create and reuse integration assets to build upon prior projects and address new business priorities. Enable your entire ecosystem to maximize ROI & offer enterprise-level customer experiences using packaged APIs. Achieve optimum process efficiency, highest productivity, and cost reduction by integrating other systems with Salesforce. When it comes to documents and projects, planning is the key. Hence, you always need the best possible service in the genre. If your Inbox is not running properly, then you can manage your overflowing inbox and streamline your Salesforce work-flow with the following integrations. We always associate into the course of integrating multiple Salesforce solutions using pre-built integration tools such as the Jitterbit and Informatica Cloud. We have been designated as the experts in creating custom Java, .Net, and even JS based integration solutions for the process of integrating with Salesforce. CEPTES has always been the top-notch assistance to organizations, who build custom APIs in current solutions, to allow direct API integration with Salesforce. For most of the software vendors, we always develop AppExchange Apps, so that there can be some robust and easy integration of their solution with Salesforce. Connect & Integrate your Salesforce data & systems today!